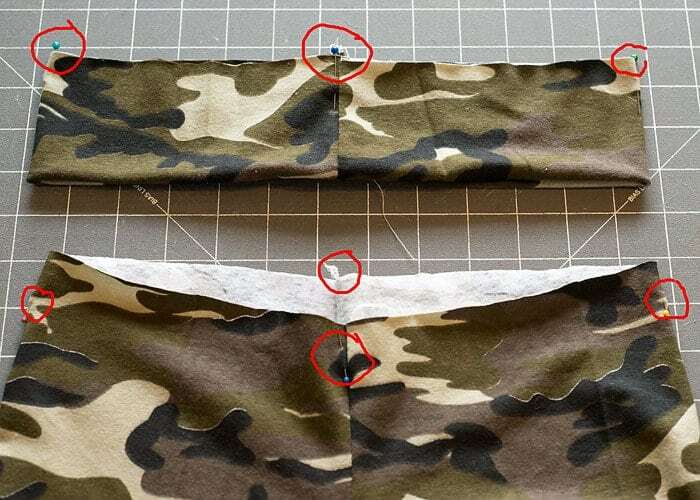 How to make yoga waistband leggings. 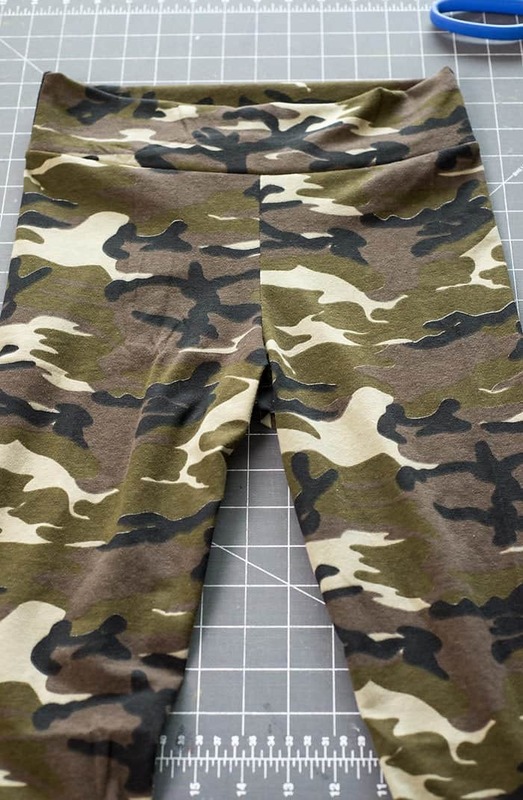 Use your favorite legging pattern or grab the free legging pattern in girls sizes 3 to 14 from here and then come back to this page for the directions as they are different from the original patterns directions. 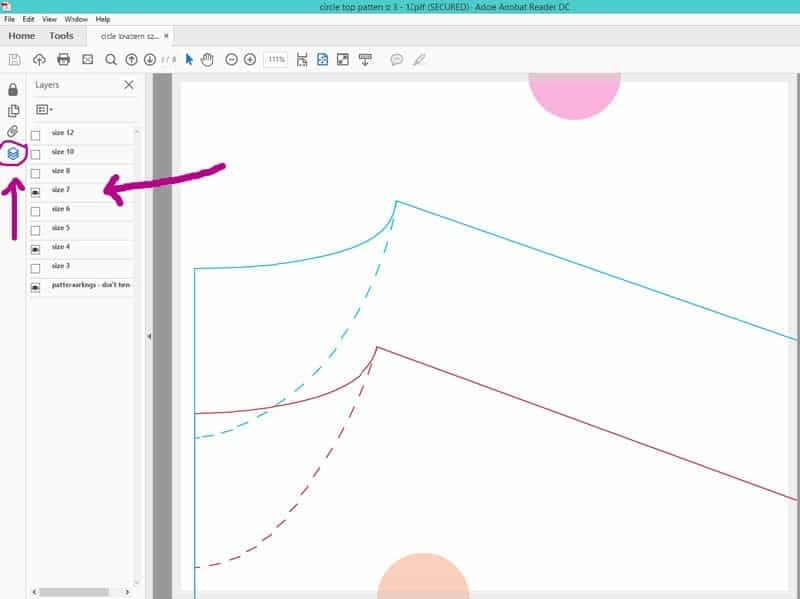 Step 1: Print pattern, tape together and cut out size needed. Step 2: Cut out pattern pieces. Fold fabric in half so it is selvage to selvage and cut out 2 legging pieces. (When cutting leggings, you either have to fold the fabric like this or flip the pattern over when cutting one leg at a time. That way you will have a right and a left leg. Step 3: Get measurements and cut out yoga waistband piece. 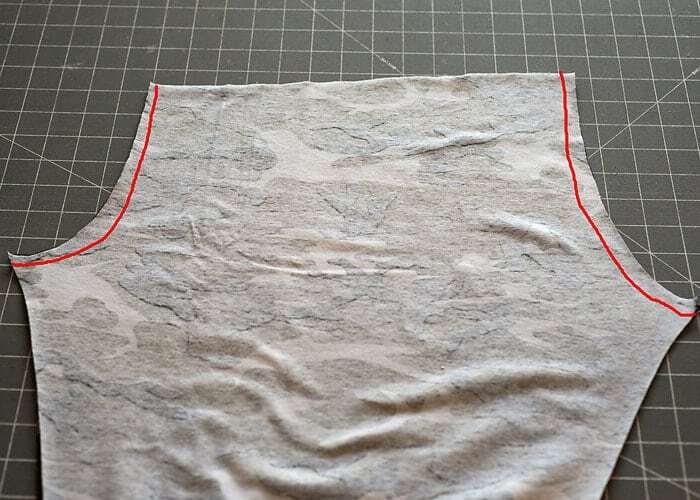 Measure child around waist and cut a strip of fabric 6 inches tall by the width of the waist measurement. Make sure the direction of stretch is in the same direction of the waist measurement. 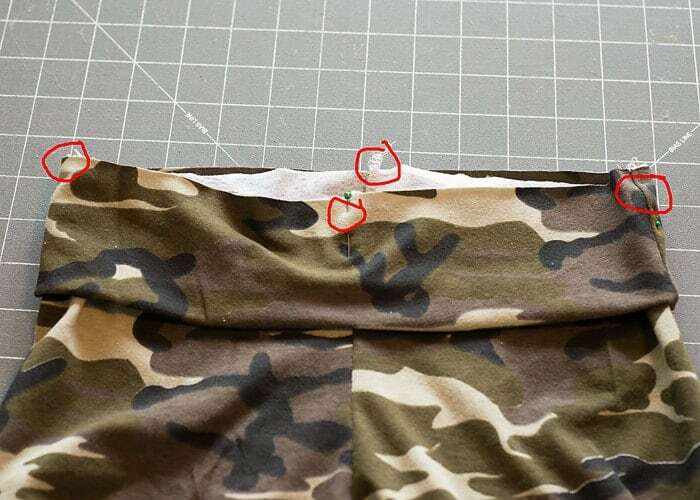 If you have to cut 2 separate pieces for the waistband, add .25 inches and use a .25 inch seam allowance when sewing them together. Line up the top front and back seams and leg seams. Sew together as shown below. 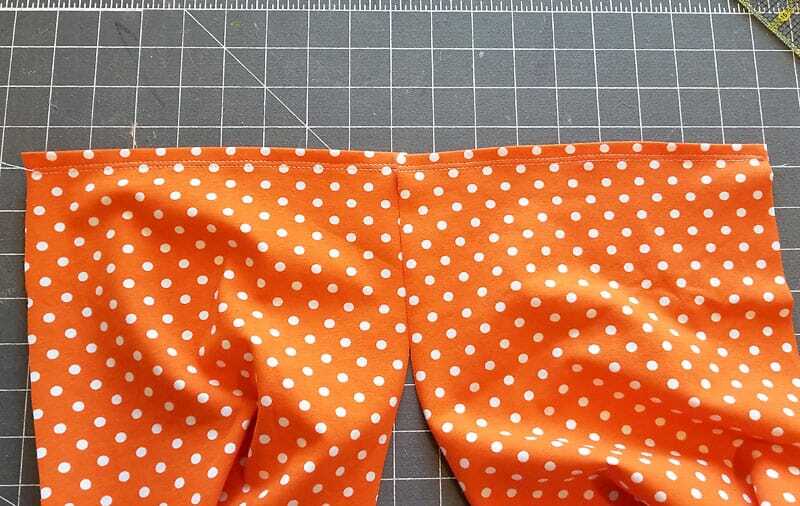 Line waistband up right sides together as sew with a .25 inch seam allowance. 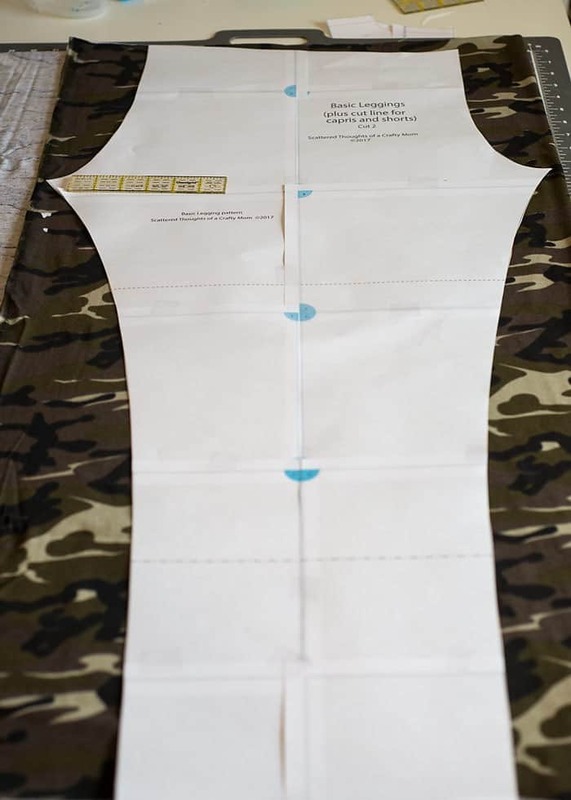 Depending how you cut it out, you may have one long piece or 2 smaller pieces. 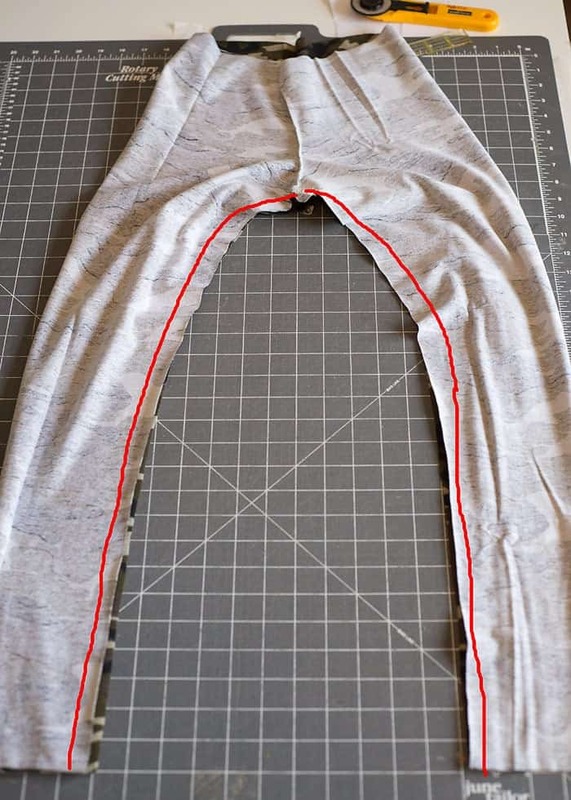 Fold waistband in half as shown below. 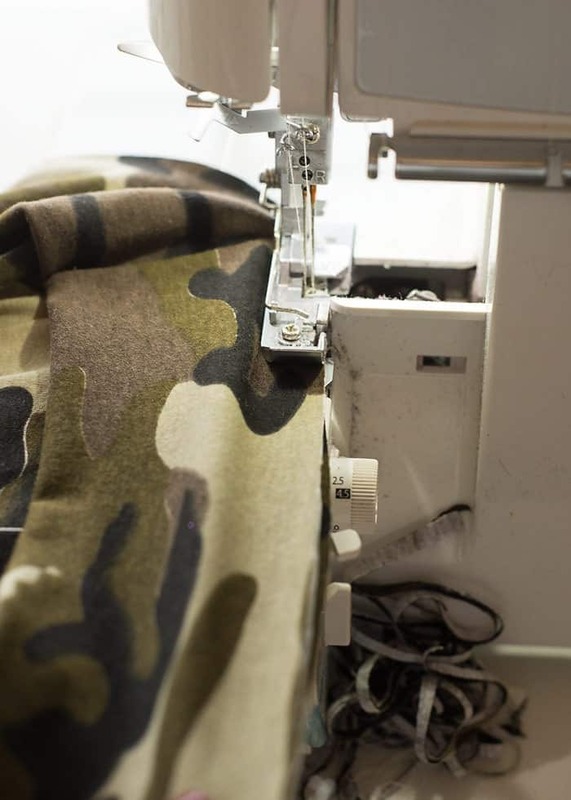 Divide the waistband and the top of the leggings into 4 equal sections. Mark with pins or disapearing ink marker. 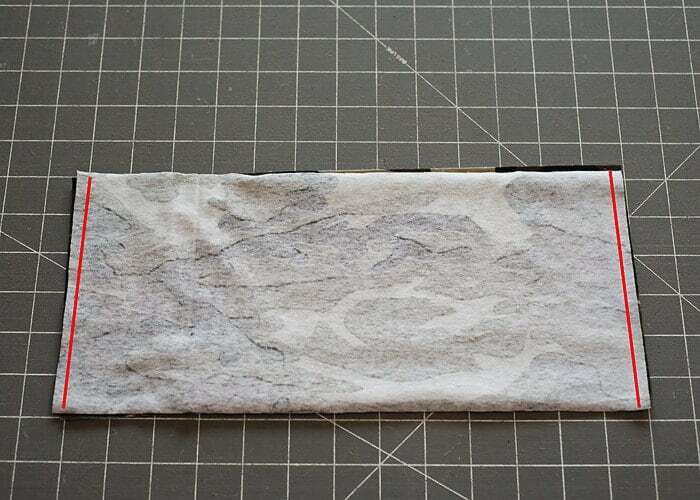 Line up top/raw edge of legging (right side out) with raw edges of waistband. Line up the 4 separate marks and pin all pieces together at these marks. 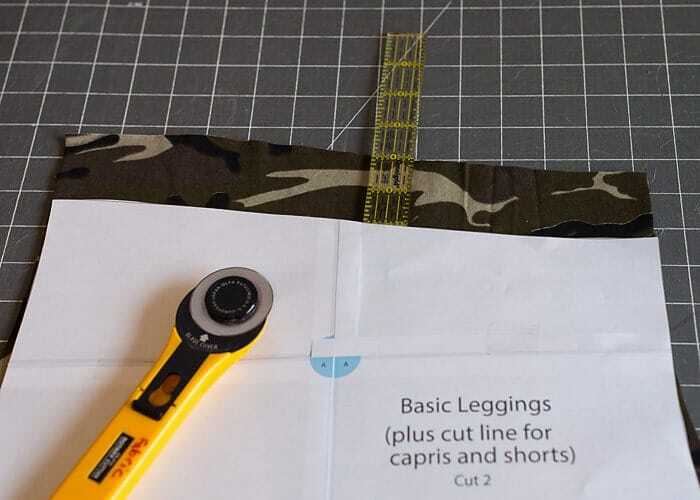 Sew waistband to legging top, stretching waistband as needed to from pin to pin. Be very careful to not serge over the pins! If you make a pair of these leggings, be sure to share a photo to my Facebook page or tag me on Instagram and use #scatteredmompatterns! Hi, very nice work as always. Thank you very much! Gratefull for size 14! remember me? Your patterns are amazing, and now I know why! Thanks for putting SO MUCH time into your work! FanTASTIC job! I just discovered this website. You are unbelievably talented and your daughters are beautiful and so fortunate to have a mother like you. Are girl seizes the same as women’s seizes? 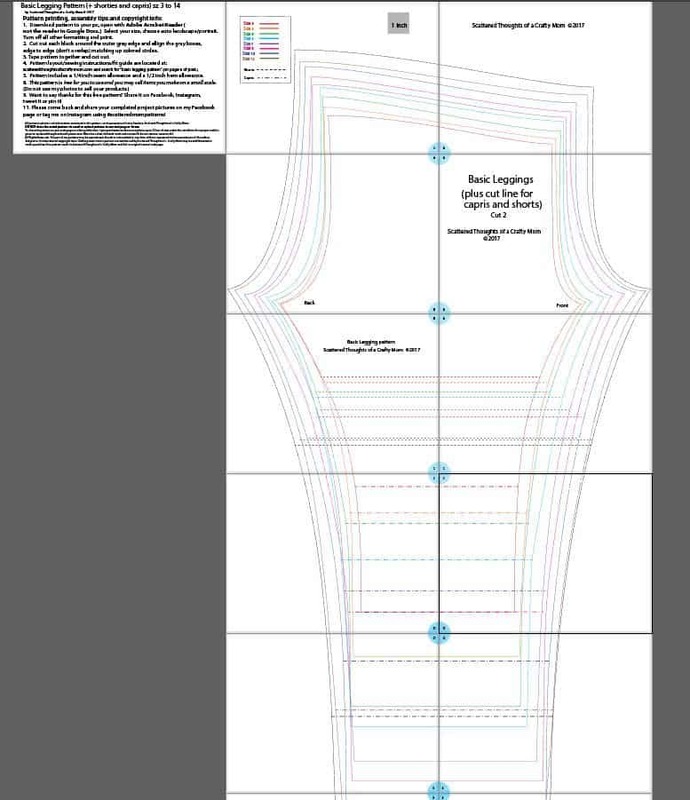 After spending two frustrating hours at JoAnn Fabrics and unwilling to spend the money for some of their patterns, I am DELIGHTED to find your website and can’t wait to start sewing again! I have one granddaughter and three grandsons that will be getting some homemade gifts this year! Dont give up on Joanns, they sometimes put patterns on sale for $.99 or 1.99!